Christopher G. Nuttall’s novel of human fear and survival, set in the thrilling world of his Angel in the Whirlwind series. A year after the Commonwealth won the war with the Theocracy, the interstellar cruise liner Supreme is on its maiden voyage, carrying a host of aristocrats thrilled to be sharing in a wondrous adventure among the stars. The passengers include the owner and his daughters, Angela and Nancy. Growing up with all the luxuries in the world, neither sister has ever known true struggle, but that all changes when a collision with a pirate ship leaves the cruiser powerless and becalmed in hyperspace. And they’re not alone. Now, the mysterious force that’s living on this floating graveyard is coming for Supreme’s crew and passengers. As madness starts to tear at their minds, they must fight to survive in a strange alien realm. Christopher G. Nuttall has been planning science-fiction books since he learned to read. Born and raised in Edinburgh, Scotland, he studied history, which inspired him to imagine new worlds and create an alternate-history website. Those imaginings provided a solid base for storytelling and eventually led him to write novels. He's published more than thirty novels and one novella through Amazon Kindle Direct Publishing, including the bestselling Ark Royal series. He has also published the Royal Sorceress series, the Bookworm series, A Life Less Ordinary, and Sufficiently Advanced Technology with Elsewhen Press, as well as the Schooled in Magic series through Twilight Times Books. He resides in Edinburgh with his partner, muse, and critic, Aisha. Visit his blog at www.chrishanger.wordpress.com and his website at www.chrishanger.net. 5.0 out of 5 starsShipwreck In Space! This one started slow but the tension picked up and we got a really good climax. Good worldbuilding particularly regarding how the rich and powerful behave and what service staff have to endure. The customer is always right especially when the customer can buy whole starships with pocket change. Good characterisation, the passenger and crew's descent in to madness was handled well. The aliens were creepy, leaving things unexplained is a technique particularly suited to the horror/fear aspects of the plot. It will be interesting to discover what affects this incident has back in the Commonwealth. I'm also wondering if we'll be getting any follow-on novels. 5.0 out of 5 starsWe have a new Classic SciFi author! I read the first series in the author's world and he struck me as very Heinlein-like (though his corporstions are not the benevolent entities of Heinlein's later work, in fact a lot more credible.) Here he has taken his writing to a new level and I believe he will end up in the realm of Heinlein, Asimov and Norton. Even if you haven't read his work before. If you are a SciFi fan you should treat yourself to this one. Couldn't' be bothered to finish reading what I thought was going to be a good read. It was far too slow getting to the main story, seemed to dwell on the menial points of the different characters. Good story. However I personally do not like horror stories. With out putting in spoilers all I can say is that this book has a similar feel as the movie Event Horizon. 5.0 out of 5 starsExcellent storyline, a romance and sci-fi action adventure novel. 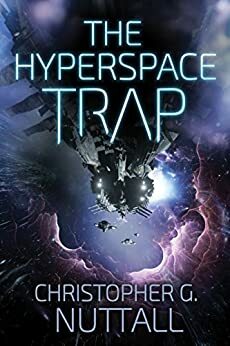 5.0 out of 5 starsA well written story that was hard to put down. Great captivating story and want more. Excellent reading, well writen and enjoyable reading. Hope to read more of these stories. Recommend this as a good read..